It is a dull, cloudy morning as the team prepare for the day ahead. 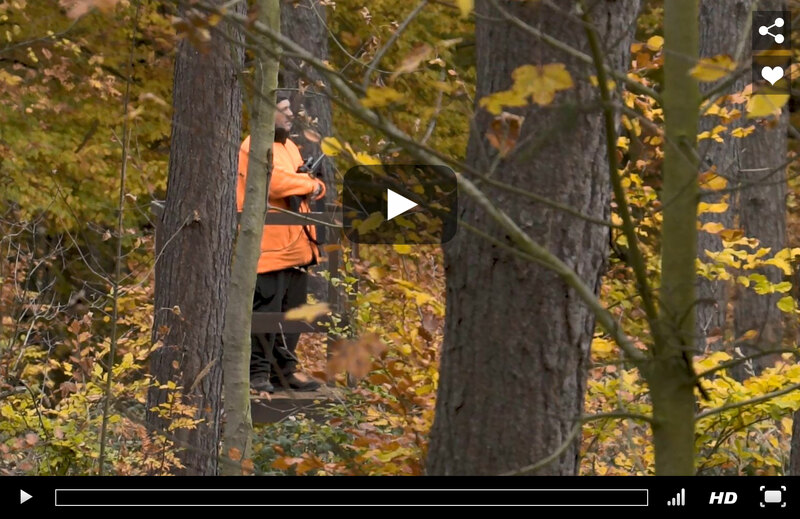 This wild boar hunt takes place in the beautiful dense forest of the Baden-Württemberg area, in Southwest Germany. The organisation of the driven hunt here is not too dissimilar to pheasant shoots in the UK. There is a strong sense of community as beaters, dogs and gun mingle together in the car park for the briefing. The 46 guns head out into the forest. The shots will be close due to the thick undergrowth and the game has the advantage of multiple trees and brambles for cover. Quick and precise actions is needed in order to take down the wild boar and roe deer that populate this area. The rifle of choice is the Sauer 404 Synchro XTC in .308 calibre to which is fitted a muzzle break. This significantly reduces muzzle flip, enabling shots to be taken in quick succession without losing the sight picture. To ensure maximum manoeuvrability, this is paired with the Hawke Vantage 1-4×24 riflescope with LR4 reticle. The light weight and compact dimensions provide optimum handling for dynamic targets. 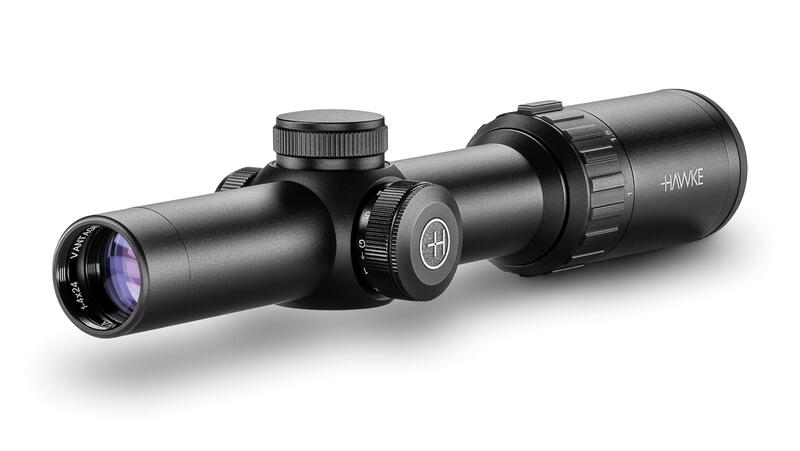 The low magnification ratios and 11-layer optical coatings offer the ideal sight picture when wild boar hunting for both close and long-range driven shots. The ammunition of choice is the highly capable 150 grain Hornady Interlock. It is a nice punchy round with outstanding terminal performance, which has tested at the shooting cinema. Wild boar hunting is a technical sport and simply aiming and pulling the trigger will not yield the optimum results. Roebuck season begins in Germany on May 16th and ends on October 15th. As a slightly light-hearted incentive not to shoot roebuck, the shoot manager has a system: if you shoot a roebuck without antlers, you must buy the beaters and dog handlers dinner. If you shoot a roebuck with antlers, you must buy everyone dinner. Of course, the morale behind this tale is to be absolutely sure of your quarry species, age and gender before taking the shot. This is an essential skill that must be mastered before hunting game. Whilst roe doe are very much on the game list, the ones that appear do not offer a safe back stop. A number appear on the left side, silhouetted against the skyline with no safe backstop, making it impossible for to take a safe shot. Safety is of paramount importance and proper judgement must be exercised. The hunt today is joined by Frederic Hanner from Sauer. Frederic had a successful first drive and managed to shoot a fox but did not have the opportunity to take a wild boar. The shoot itself is run by friends of Frederic. The day is not driven by money, instead the work is done by friends and those invited back from previous shoots in the year. Everyone works as a community and at the end of the day all beaters, guns and organisers join together in a shared feast as a reward for the days work. For the second drive of the day, the guns take up their positions in a different section of forest. It is the perfect environment for wild boar as they prefer the dense undergrowth and the prolific scattering of acorns. The boar are known to be quite lively in this area and there are high hopes for the last drive of the day. A high seat with an elevated view of the forest ahead provides a much safer backstop, particularly with neighbouring guns in close proximity. The atmosphere and the fine weather has made the few wild boar taken all the worthwhile. The preparation and community input that goes into creating these management hunts adds an extra element to the day with five or six wild boar on the tableau.